A listening and information service for women who have unresolved issues about their pregnancy or birth experience. It is available to women who have delivered in the Trust within the last 12 months, or who are currently pregnant. For more information call 01865 220605. The Birth Trauma Association (BTA) was established to support women suffering from Post Natal Post Traumatic Stress Disorder (PTSD) or birth trauma. We are not trained counsellors or therapists or medical professionals. We are mothers who wish to support other women who have suffered difficult births. The BTA is there to offer support and advice to anyone who needs help coming to terms with a traumatic birth experience. Visit website for more details. We provide acupuncture, osteopathy and cranial osteopathy, pre- and post-natal treatments, pregnancy yoga, baby yoga and massage, baby and child massage and post-natal yoga. From fertility to pregnancy, childbirth and the postnatal period, we support you as parents and your babies as they grow into children. 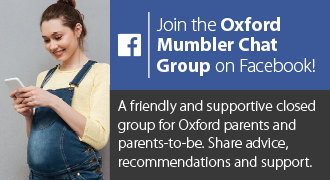 New to Oxford in 2018: The Social enterprise ‘Mummy Buddy’, often referred to as a lifeline for new mums. Award winning, face to face, network for mums and mums to be. Includes regular ‘knees ups’, be it wine, coffee or water, let’s get together with our bumps and babies have a good time. Every last Friday of the month between 13.30 and 15.30 (except in December). Postnatal course for mothers and babies led by clinical psychologists Rebecca Knowles Bevis and Guinevere Webster. For mothers at any stage after birth, babies very welcome. A supportive space to reflect on this momentous transition and grow into mothering. Each session includes: practical techniques for self-care, baby-bonding activities and information on mother-baby development. Thursdays 12.45-2.15 pm in OX4 3PG. £85 for 8 sessions. Provides specialist therapeutic support, from conception to 2 years, for infants and parents who are in need of assistance for issues such as establishing and building close nurturing relationships, depression and anxiety, birth trauma, loss, or unresolved issues from parents’ own early lives. Based at the Kidlington Centre. Call 01865 778034. A drop-in / peer support / postnatal group for mums who are worried about their mental health after having a baby. More info in our Mumbler blog post here.